Yesterday The Document Foundation, the organisation behind the free and open source LibreOffice suite, announced that GNOME Foundation and KDE e.v. have joined the Advisory Board of The Document Foundation (TDF). In a reciprocal move to consolidate their relationships, TDF also acquired seats on the boards of both the GNOME Foundation and KDE. These reciprocal arrangement with the GNOME Foundation is intended to create stronger ties between the two communities and to foster the integration between LibreOffice and one of the most popular desktop environments for Linux. GNOME is a desktop environment that is composed entirely of free and open source software, targeting Linux but also supported on most derivatives of the BSD operating system. Since the release of GNOME 3.0, the GNOME Project has focused on the development of a set of programs known as the GNOME Core Applications, for the adherence to the current GNOME HUD guidelines and the tight integration with underlying GNOME layers. The GNOME Foundation is a non-profit organisation that furthers the goals of the GNOME Project, helping it to create a free software computing platform for the general public that is designed to be elegant, efficient and easy to use. KDE has been creating free software since 1996 and shares a lot of values in respect of free software and open document formats with The Document Foundation. In addition, it brings the experience of running a free software organization for almost two decades to the TDF advisory board. Both TDF and KDE are involved in the OASIS technical committee for the Open Document format (ODF), as well as collaborating on common aspects of development of office software, such as usability and visual design. The affiliation of KDE and The Document Foundation at an organizational level will help progress the shared goal of giving end users control of their computing needs through free software. Originally published on the author’s own blog. With the Olympic Games being held in Rio de Janeiro this summer, lots of eyes are being turned on the city. Some of those eyes are being turned on the city’s slums – known locally as “favelas” – with some surprising results. For instance, Techinsider has discovered that Rocinha, the city’s and Brazil’s largest favela, has its own wifi provider. Rocinha, photographed in 2010. Image courtesy of Wikimedia Commons. 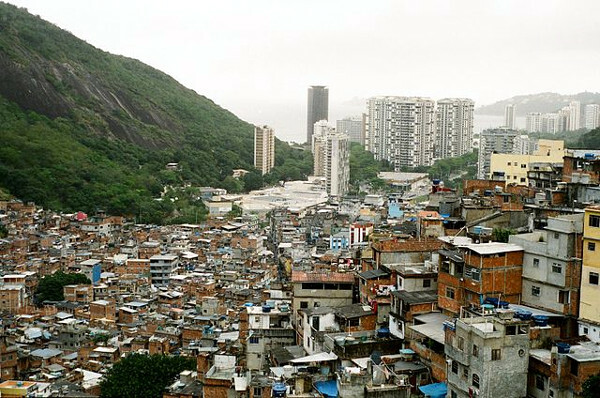 Rocinha has a population estimated at between 70,000 and 300,000 people. The wifi provider – NetRocinha – over 1,500 high-speed internet customers in the community and its most expensive broadband plan, known as Mega 20, costs the equivalent of just over £18 per month. Developers at the French Inria research institute and the Technical University of Munich have introduced a new payment protocol called GNU Taler* and released an alpha package with the version number 0.0.0, Germany’s heise Open Source news website reports. The new system should solve the problem thrown up by crypto currencies that payments in these systems can only be traced with difficulty by state institutions for taxation purposes. At the same time, a high degree of user anonymity will also be ensured. However, no new currency is to be created as the Talers transferred are merely cryptographic tokens representing other currencies such as Euro or Bitcoins. Users arrange with their bank for a transfer to a Taler exchange and have their Taler coins delivered from it to an online wallet, which they then use for making purchases in online shops. Traders can can the Taler coins received back into the original currency via the Taler exchange, which must of course retain adequate currency reserves. All transactions will take place securely on the basis of cryptographic signatures and cannot be falsified. Furthermore, no personal information will be disclosed during a Taler transaction. However, information about transactions will be stored in the wallet so that consumers can demand their rights in respect of traders. A demo version for spending toy money is already online. Users will need to install the Wallet add-on for Chrome or Chromium respectively to be able to use it. The developers are hoping to make the payment system available to the general public in 2016. * = The original taler or thaler was a silver coin issued by various German states from the 15th to 19th century. The taler is also reputed to be the etymological origin of the mighty US dollar. This week the House of Commons is due to debate the Investigatory Powers Bill, the latest version of the Snoopers’ Charter (news passim), that will allow the United Kingdom’s police and services to regard the entire UK population as potential organised criminals, suspected terrorists and other assorted ne’er-do-wells and enable those same services to monitor the UK residents’ internet traffic and telecommunications. In advance of the parliamentary debate and to publicise the illiberal nature of Home Secretary Theresa May’s bill, the Open Rights Group installed a public toilet on a busy Friday afternoon in Brick Lane in east London. However, the public toilet was not all that it seemed; it was a toilet with a difference. The Open Rights Group has also provided a helpful, fact-packed page for MPs on the Snoopers’ Charter to brief them ahead of the debate. Today many people have digital content they created years ago and stored in obsolete and proprietary document formats. Very often these old file formats cannot be opened by any application on the user’s current operating system, leaving the users locked out of their own content. However, it is not just individuals that are affected: public and private sector organisations are similarly afflicted; and this can have huge consequences when, say, a a government is unable to read or access digital data it has created in the past. This is where The Document Liberation Project comes into its own. The Document Liberation Project was created to enable, people, private and public sector organisations to recover their data from proprietary formats and to provide a means of converting the recovered data into open and standardised file formats, such as Open Document Format, thus returning effective control over the content to the actual authors from the software computer that devised the proprietary formats. To achieve this, The Document Liberation Project develops software libraries that applications can use to read data in proprietary formats. The following video explains how this process works. Read more about The Document Liberation Project and the list of projects it supports. Originally posted on the author’s own blog. 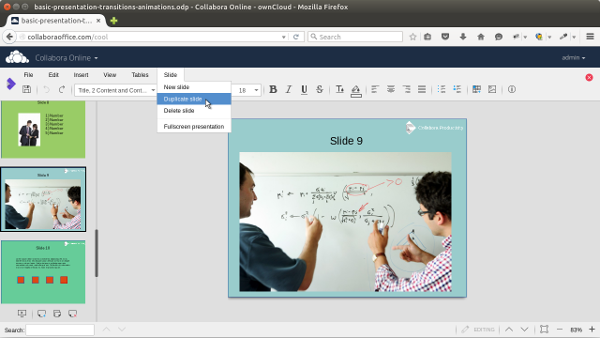 Collabora Productivity, the driving force behind putting the free and open source LibreOffice productivity suite in the cloud, has announced the release the first production grade version of Collabora Online, its flagship cloud document suite solution. Codenamed “Engine”, it is targeted specifically at hosting and cloud businesses who wish to support both commercial and consumer document viewing, creation and editing services in their portfolios. Interested potential users can request access to the demo from Collabora. 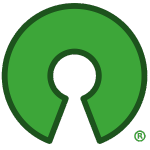 Over the last 19 years the Open Source Initiative (OSI) has been the steward of the Open Source Definition (or OSD), establishing a common language when discussing what an Open Source licence means. In addition, the OSI has maintained a list of licences known to be compatible with the OSD. This is being taken to its next logical step this year, with the OSI providing a machine-readable publication of approved licences. This will allow third parties to become licence-aware, as well as enabling organisations to determine clearly if a license is indeed an Open Source licence from the authoritative source regarding Open Source licensing. The concept behind this API is to be a “hub” to store a central list of crosswalks and common identifiers to other services, enabling third parties who are already licence-aware to provide their mappings and pull OSI approval status programmatically. As a proof of concept, SPDX identifiers have been added, trivially allowing cross-walks to SPDX datasets. This allows anyone to take an SPDX licence ID and determine whether it’s approved by the OSI by asking the OSI API. The source for the machine readable data can be found in github and very basic API wrappers have been published for Python and Go, as well as Ruby. Some 11 years ago after the licence disputes between Linux developers and Bitmover, the producer of the BitKeeper version control system, gave rise to the development of Git and Mercurial, the most widely used version control systems today, BitKeeper is now also available as open source software, German IT news site heise reports. The tool has been covered by the Apache License 2.0 since 9th May 2016. In 2002 Linux creator Linus Torvalds and colleagues accessed BitKeeper since it was the only system that enabled an automated retrospective rearrangement on a version control system. However, in 2005 Bitmover then withdrew from the community, on account of which the proprietary BitKeeper package could not be used any more for open source development and Torvalds began the development of Git, which has since become the top distributed version control system with the github hosting service. Although development of BitKeeper has continued over the years, with the most recent release taking place in September 2015, use of the software is reputed not be be very widespread. Consequently, the heise report’s author believes its release as open source must be regarded as a final effort to keep the software going. Quantum computers have significant potential to open entirely new directions for processing information and to overhaul the way that we think about and use the science of computation, Bristol University reports. Modern computers already play a huge role in society, routinely handling and processing vast amounts of data, as well as solving calculations at an incredible speed. However, there are some problems that they just cannot solve in a useful amount of time, no matter how fast they become. The concept of a quantum computer aims to address this, exploring uncharted computation and solving at least some of these problems that classical computers cannot. A study entitled “Efficient quantum walk on a quantum processor“* published yesterday in Nature Communications, reports strong evidence that with this method something meaningful can already be seen with a primitive quantum computer that cannot be seen with a classical computer. The very first steps towards this have been implemented in the lab in Bristol. Dr Ashley Montanaro, Lecturer in Applied Mathematics and EPSRC Fellow from Bristol University’s School of Mathematics, remarked: “A quantum computer is a machine designed to use quantum mechanics to solve problems more efficiently than any possible classical computer. Building a large-scale quantum computer is one of today’s biggest engineering challenges. There’s a growing worldwide effort to develop one and this needs substantial effort from a wide range of expertise – including as part of the UK National Quantum Technologies Programme (UKNQT). However, the results could be tremendous, offering fast and cheap ways to design new materials and new pharmaceuticals. Nevertheless, there is a field of research emerging now that can help accelerate understanding how quantum computers will work and how users can apply them. Examining the power of smaller, more primitive designs for quantum computers indicates that quantum machines could outperform the capabilities of classical computing for very specific tasks sooner than we thought. For instance, “Boson Sampling” is a recent example that is driven by what is experimentally available very soon. 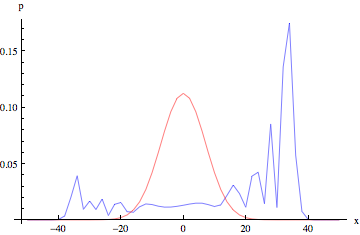 One-dimensional quantum random walk. Image courtesy of Wikimedia Commons[/caption]Big questions researchers face include what can these primitive quantum processors do that is useful and how sophisticated do they need to be. The results published in today’s paper help to answer this question by looking at how to simulate particular kinds of a phenomenon called the quantum walk. The quantum walk at first glance is abstract, but is the quantum mechanical version of very useful models such as Brownian motion and the “drunken sailor’s random walk“. The key difference is the particle in the quantum walk is endowed with the principle of quantum superposition, thus enabling other researchers to show they are a new way of thinking about how full-scale quantum computers might operate and creating useful quantum algorithms. Dr Jonathan Matthews, EPSRC Early Career Fellow and Lecturer in the School of Physics and Bristol University’s Centre for Quantum Photonics, explained: “An exciting outcome of our work is that we may have found a new example of quantum walk physics that we can observe with a primitive quantum computer, that otherwise a classical computer could not see. It has emerged that so-called “superfast” broadband (defined in this instance as 25 megabits per second (Mbps) Ed.) will not be provided automatically to tens of thousands of remote rural homes, the Western Daily Press reports. A Government consultation document says it is likely that many people in such areas would not want to be connected to better broadband, but extending it to them would not represent value for money. However, the Department for Culture, Media and Sport (DCMS) has rejected suggestions that rural areas were being left behind, a point of view that has not found favour with campaigners for rural broadband, who are concerned that rural businesses will move away and jobs will be lost unless they are included in the better broadband roll-out. Graham Long, chairman of Broadband for Rural Devon and Somerset is quoted by the Western Daily as saying: “Businesses are moving out of rural areas here because they cannot keep their website – their shop window – up to date. Open source software was an essential element in the work of 2 Bristol modern languages tutors who have just won an award. The University of Bristol has announced that Marcella Oliviero and Andrea Zhok have won first prize in the 2016 Apereo Teaching & Learning Awards (ATLAS) for a project that helped first-year students in the Department of Italian teach elements of grammar to their peers. With support from University staff, students were encouraged to develop their own tutorials using Xerte, an open source software package for the creation of interactive teaching and learning materials, which has been developed by the University of Nottingham. As a result, students gained a greater stake in their own learning, improved their subject knowledge and acquired new IT skills. Apereo is a network that develops and maintains e-learning software used in thousands of educational institutions worldwide. Packages like Xerte permit the use of a wide range of functions and media to make the learning experience richer and more diverse than is possible with traditional methods. The tutors’ success was announced at the 2016 Xerte Conference in Nottingham and they have also been invited to present their work at the Open Apereo conference in New York later this month. This week there have been developments in the provision of free public wifi access in both north Staffordshire and south Shropshire. A report in today’s Sentinel boldly announces in its headline that “Stoke-on-Trent [is] set to join Manchester and Barcelona with free wifi in the city centre“. However, the Sentinel is in this instance following the old press maxim of never allowing the actual story to interfere with a good headline and comparing the Potteries with near-rival Manchester and the cultural and political capital of Catalonia always reads well. A few paragraphs further down the actual story is revealed, i.e. 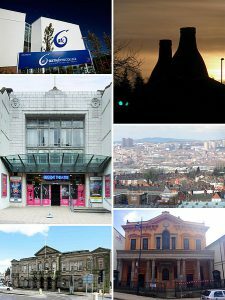 Stoke-on-Trent City Council is advertising for a firm to install wifi hotspots within the Potteries Way ring-road and this will complement existing coverage at the intu Potteries shopping centre, other businesses and city centre cafés and bars. In the council’s eyes, this development will improve the so-called “city centre experience” for shoppers and businesses. Furthermore, the project has been proposed by the City Centre Partnership group which represents traders and there’s not a hint of any provisional costings as yet. Finally, the council is reported as conducting a “market testing exercise” to examine the project’s feasibility. Looking at cities elsewhere, the Sentinel report states that Manchester City Council provides free public wifi for the 30 minutes and for £3 per day thereafter, whilst Nottingham City Council signed a contract with BT to install 41 wifi hotspots around the city in 2015. Barcelona has one of Europe’s most extensive public wifi services with 443 hotspots. 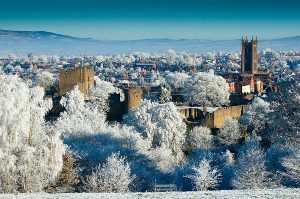 Moving a few tens of miles down to south Shropshire, yesterday’s Shropshire Star reported that Ludlow Town Council has dropped plans for free public wifi in the town centre due to lack of funds. This was in spite of support from councillors. The report optimistically states that hoped the idea could be reviewed at a later date, but no timescale has been set. The company involved is reported as Solvings Ltd. of Mold in Flintshire, which has yet to supply wifi technology for any town centre and whose current business mostly deals with private defence-related sites and military complexes. Yesterday a press release from CERN announced that its CMS Collaboration unit had released more than 300 terabytes (TB) of high-quality open data. This includes over 100 TB, or 2.5 inverse femtobarns (fb−1), of data from proton collisions at 7 TeV, making up half the data collected at the Large Hadron Collider (LHC) by the Compact Muon Solenoid (CMS) detector in 2011. This follows a previous release from November 2014, which made available around 27 TB of research data collected in 2010. This open data is available on the CERN Open Data Portal — which is built in collaboration with members of CERN’s IT Department and Scientific Information Service — the collision data are released into the public domain under the CC0 waiver and come in types: The so-called “primary datasets” are in the same format used by the CMS Collaboration to perform research. The “derived datasets” on the other hand require a lot less computing power and can be readily analysed by university or high-school students, and CMS has provided a limited number of datasets in this format. CMS is also providing the simulated data generated with the same software version that should be used to analyse the primary datasets. 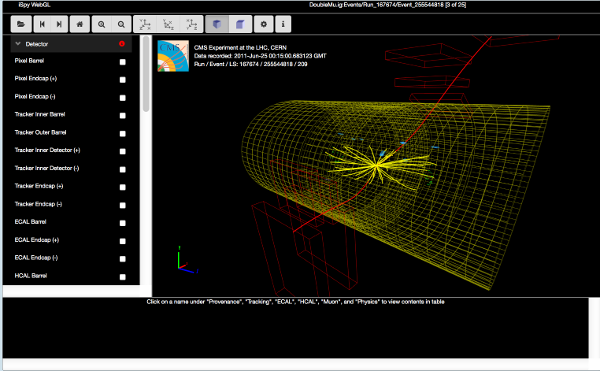 Simulations play a crucial role in particle-physics research and CMS is also making available the protocols for generating the simulations that are provided. The data release is accompanied by analysis tools and code examples tailored to the datasets. A virtual-machine image based on CernVM, which comes preloaded with the software environment needed to analyse the CMS data, can also be downloaded from the portal. In our own more modest lab, we’re wondering if this is the largest open data release yet. If readers can confirm or refute this, please feel free to comment below. At the end of April a CiviCRM meet-up for the South-West of England is taking place in Bristol, kindly hosted by One25. The meet-up’s date and time are 27th April 2016 from 5.00 p.m. to 7.00 p.m. The venue is One25’s offices at 138A Grosvenor Road, Bristol, BS2 8YA (map). Attendees will have to register, but the event is free. The organisers have issued an important note, i.e. please don’t turn up at the venue before 4.30 p.m.
News arrives from CiviCRM, the free and open source customer relationship management (CRM) software, of 2 free events later this month in London. First of all NfP Services is hosting a free seminar at its London offices with refreshments and lunch included. The seminar will be held on Tuesday 19th April from 10.00 a.m. to 1.30 p.m. The venue will be Miller Technology Limited, 340 Gray’s Inn Road, London WC1X 8BG (map). During the session NfP Services will be demonstrating CiviCRM’s amazing functionality and flexibility and explaining how it can help your organisation take a low risk route to implementing its use. It will also be providing live examples of existing systems and how current clients are reaping the enormous benefits of this fully functional, open-source, web-based CRM system. The event is ideal for anyone new to CiviCRM who would like to find out more. Existing users keen to get more from their software will also be welcome. You can register here or alternatively contact James on 020 7843 4400 / 07808 304 595 or send an email to james [at] millertech.co.uk. Nearer the end of the month, the second CiviCRM London Meetup 2016 will be taking place on Wednesday 27th April 2016 from 6.00 p.m. to 8.00 p.m., followed by refreshment in an as yet unspecified local hostelry. The venue will be the offices of Compucorp Ltd., 4th Floor, 33 Bethnal Green Rd, London, Shoreditch, London E1 6LA (map). 18.00: Welcome and drop in for 15 mins. 19.15 – 19.30: Session 4: What’s new! If potential attendees have any queries, they are advised to email Info [at] compucorp.co.uk. Once again, registration is required. 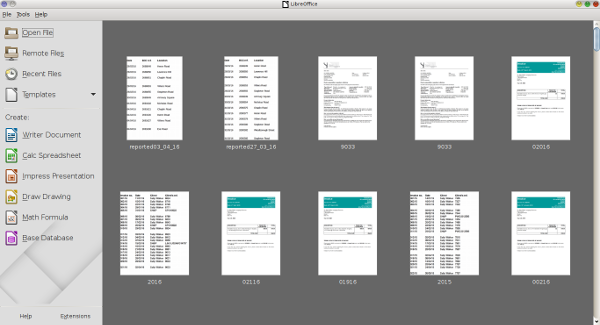 A blog post earlier this week from The Document Foundation, the organisation behind LibreOffice, the popular free and open source office productivity suite, gives details of the first bug hunting session for the forthcoming release of LibreOffice 5.2. There is also a page on the session on the LibreOffice wiki. This initial session will be held on Friday, 22nd April 2016. Tests will be performed on the Alpha version of LibreOffice 5.2, which will be available on the pre-releases servers a few days before the event. Builds will be available for Linux (DEB and RPM), MacOS and Windows. Mentors will be available on on the day from 8.00 a.m. UTC to 10.00 p.m. UTC. Of course it will also be possible to hunt bugs on other days, as the builds of this particular Alpha release (LibreOffice 5.2.0 Alpha) will be available until the end of May. During the day there will be two dedicated sessions: the first to chase bugs on the four main LibreOffice modules – Writer, Calc, Impress and Draw – between 3.00 p.m. UTC and 5.00 p.m. UTC; and the second to test the top 10 features between 5.00 p.m. UTC and 7.00 p.m. UTC. The list of the top 10 features will be decided during the week before the session and will be added to the wiki page. 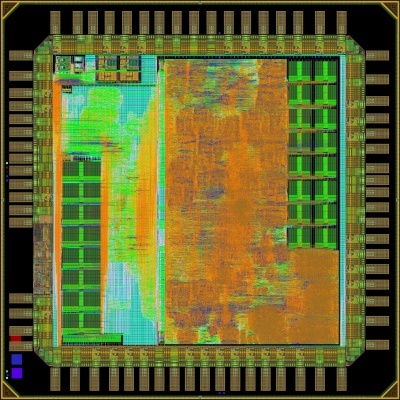 This new microcontroller has been designed for battery-powered equipment with a very low power consumption, meaning it could be used for Internet of Things devices, smart watches, medical sensors or for home automation. Luca Benini gives the example of a smart watch developed in his laboratory which could be capable of determining the user’s location by analysing the visual data from the watch’s camera. 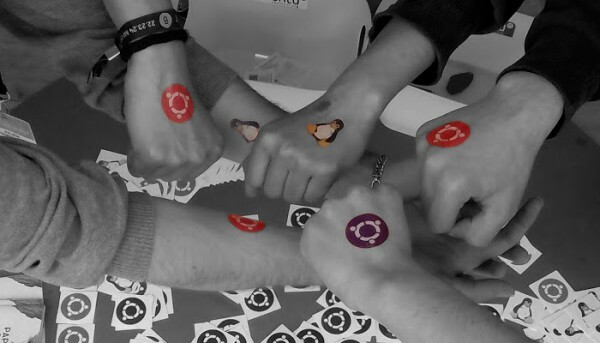 UbuCon Europe 2016 will be the first conference dedicated to the European Ubuntu community and will be held in Essen, Germany from 18th to 20th November 2016. The organisers are promising two days full of talks, workshops, demonstrations, exhibitions and (hopefully) great food. There will be social events in the evenings will give delegates the opportunity to meet fellow community members and visit some of Essen’s attractions. What is UbuCon Europe about? The venue for UbuCon is Essen’s Unperfekthaus (which bills itself as “the creative oasis of central Essen”. Ed.). Wikitravel has information on travel to Essen. UbuCon Europe is being organised by ubuntu Deutschland e.V..
For those who cannot wait until November, it is preceded by UbuCon Paris (aka Paris Ubuntu Party).